As it's winter over in Australia, Reckitt Benckiser (RB) has launched an interactive digital campaign designed to pamper sufferers of Man Flu. 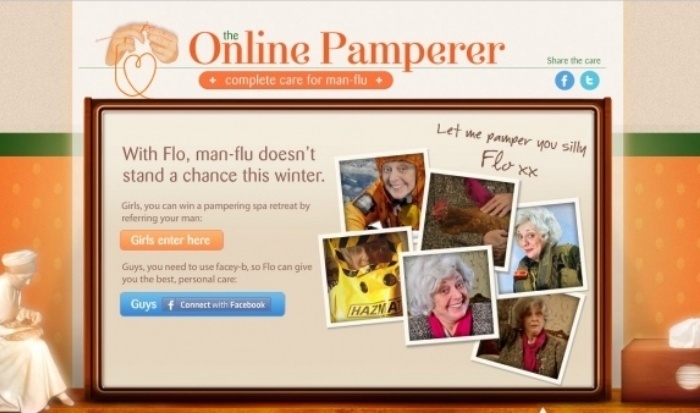 Lemsip and Strepsils - are offering an Online Pamperer service, which features Flo, a loving granny who offers advice for sufferers and their partners. The online experience links with users Facebook pages to tailor the advice and encourage sharing.